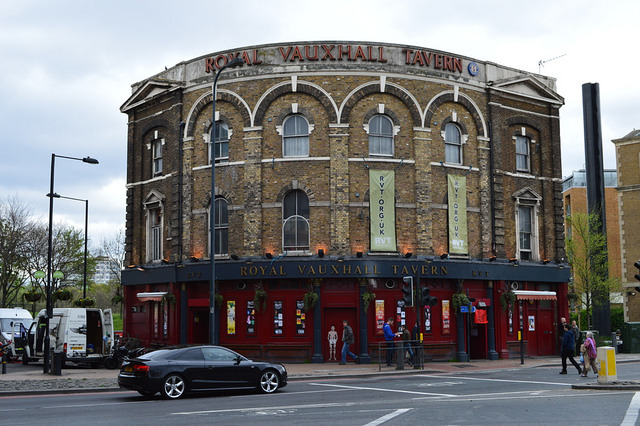 The Royal Vauxhall Tavern is the latest LGBT pub to come under threat. Photo by Matt Brown in the Londonist Flickr pool. Tributes paid to teenager who died at Hampstead Ponds yesterday. North London driver killed after collision with a lamppost this morning. Majority of Londoners are against Right to Buy and for Mansion Tax. Days after the closure of The Black Cap in Camden, a campaign has been launched to protect the Royal Vauxhall Tavern from developers. Royal College of Music to get a £25m makeover. Not long left to give the Horniman Museum a helping hand. Beer, cinema tickets and the iPhone 6: they may be pricey in London, but they're steeper in other cities. Coming to a relationship near you soon: adultery. Introduce the three-lane tube escalator, says Diamond Geezer.